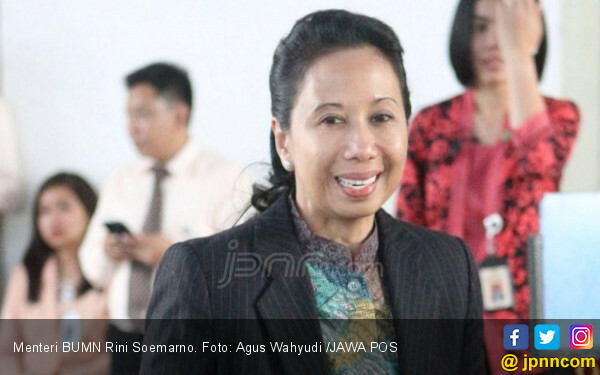 Jakarta - Minister of State-Owned Enterprises (SOE), Rini Soemarno will soon hold a General Meeting of Shareholders (GMS) to remodel the directors of PT Waskita Karya. This is in response to work accidents that occurred in the development project Flats (Rusun) Pasar Rumput, Jakarta. Waskita work accident in the development project Flats (Rusun) Pasar Grass, not the first time happened. The same thing happened recently in the construction of the Becakayu toll road project (Bekasi-Cawang-Kampung Melayu) which resulted in a number of injured workers. "I am very sad, of course like that I have several times warning to Waskita, but it happened, one of them is also the manager of the previous project we have also changed, but the main thing is the board of directors we must also change that we will do "We must hold the General Meeting of Shareholders," he said when met at the Coordinating Ministry for Economic Affairs, Jakarta, Monday (19/3). Rini hope, with the change of directors of security improvement project work can be improved. However, he is reluctant to answer the position of the director who will be replaced. "I hope so, in the end, the commitment to how to improve the level of security and operate the construction work must be done, so that the specific director who is in charge of it really has the ability to go there," he said. Previously reported, work accidents occurred in the development project Flats (Rusun) Pasar Rumput RT 05 / RW 04, Market Manggis, Setiabudi, South Jakarta, at around 09:25 pm. A Holo iron fell from the 10th floor of the towel project that PT Waskita was working on. As a result, one person died. "Victims of Tarminah (women), Jakarta May 5, 1964 address of II Police Complex II RT 05 RW 05 Pegangsaan Central Jakarta," said Police Criminal Unit, AKBP Bismo Teguh Prakoso, Sunday (18/3).